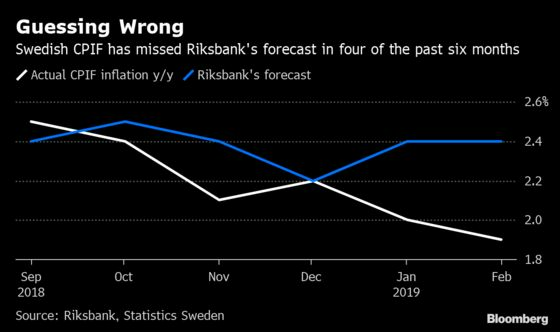 The deepest slump in Sweden’s krona in a decade is starting to unnerve the country’s business leaders. The krona is the world’s worst major currency this year. As a scorecard for the economy, it’s hardly a vote of confidence. Traders have all but given up amid rising speculation the central bank’s key interest rate will remain stuck below zero this year. Add slowing economic growth and a global trade dispute to the mix, and the prospects ahead also look daunting. There’s a deepening chorus of complaints and concerns are growing that the weakness could leave lasting impact on the economy. One of the harshest critics of the inaction and policies that have allowed the currency to sink is Gunther Marder, who represents 70,000 members as the head of the Swedish Federation of Business Owners. The central bank’s “dumping” of the krona risks damage to the economy in a replay of the devaluation years of the 1970s and 1980s, he said. “The competitiveness we gain from a weak krona is only an illusion,” he said. 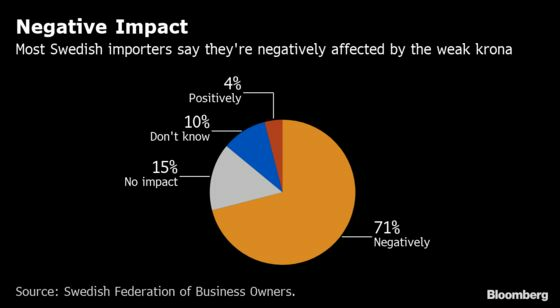 A survey of his group’s members showed that 28 percent said they were affected negatively by the krona weakness, while only 7 percent saw it as positive. Among importers, some 70 percent said the krona slide affected them negatively. The retail sector is among the worst affected by rising import costs. Structural changes and digitalization have made pricing transparent and made it more difficult to pass on higher costs to customers. On the upside, this is mitigating one of the main dangers from a weaker currency: faster inflation. In fact, many economists are scratching their heads since instead of picking up, inflation has actually slowed along with weakening krona. In February, core inflation was 1.9 percent, far below the Riksbank’s 2.4 percent forecast. Inflation has missed the bank’s estimates in four out of the past six months. There are still some winners. Truck-maker Volvo reported a 1.6 billion-krona ($174 million) currency gain for 2018 and the world’s largest producer of bearings, SKF AB, is expecting a positive currency effect of 140 million kronor in the first quarter. Sweden’s economy also expanded faster than anticipated at the end of 2018, in part due to exports. But also for these traditional manufacturing giants, the advantages of a weak krona aren’t all that clear. Globalization and structural changes means the industry has lost its pricing power. The typical Swedish exporter is to a high degree also an importer, said Annika Winsth, chief economist at Nordea Bank Abp. Anna Breman, chief economist at Swedbank AB, isn’t surprised by the growing criticism against the Riksbank, but sees no reason to ditch the floating exchange rate. 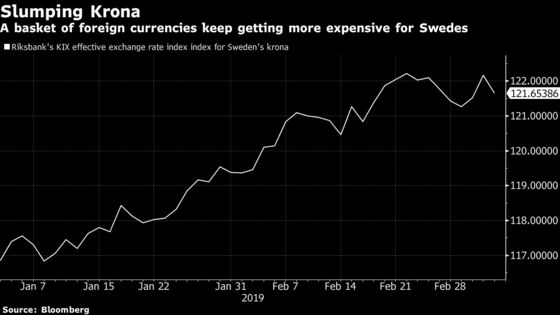 Along with many others, Breman said it’s hard to see what could shake the krona out of its rut unless the Riksbank steps in and takes action.